Please welcome Paul McMahon, who's here to write about the creation of his prison-comedy novel, Dead Reckoning. You can think too much about writing – that’s the crux of it. This realisation is what inspired me to stop procrastinating and start to write my novel in the first place. Before I write about my novel, I’ll give you an insight into how I wrote it, and suggest to you that my unusual approach freed my subconscious to write my story for me and what has made it so unique. I’ll give you a one sentence bio only because details from my background became relevant to my experiment. I’ve been a Prison Officer for over a decade. I undertook my training at the Royal Academy of Dramatic Art and graduated in 2001 whereupon after securing an agent I quickly realised I loathed most acting industry folk and opted to work behind bars with people of the equivalent moral order. As a Prison Officer I’m portraying the most complicated role of my life, engaged in psychological warfare all day long and I needed some kind of cathartic creative outlet. However I found writing daunting and I couldn’t see the wood for the trees. So Dead Reckoning began life as a writing exercise to combat what can broadly be categorised as ‘block’. 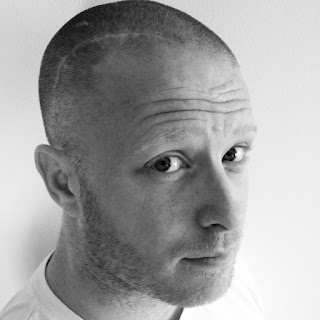 The experiment consisted of playfully punching random keys on my computer, the letter combinations of which bore occasional thoughts and thereafter words which spun off into non-sequiturs, before breaking down into jibber-jabber and back up again cyclically, interspersed by the occasional mass word-cull. Not a conventional approach to writing – but then the resultant stream of consciousness, present tense, philosophical prison-comedy, is far from a conventional novel. This strange practice isn’t as peculiar as it might seem as the product is – that I was actually writing. Even if the outcome is simply flexing your vocabulary in preparation, this is in my opinion infinitely better than introspectively strategizing without writing a word. In light of my approach it goes without saying I didn’t plan a plot, but upon reading my ramblings after a long break I realised that when you string enough unconnected events together, a reader will imbue the order of them with meaning as we all bring a unique blend of subjectivity, when decoding the entangled semiotics in amalgamations of words. In this sense, the author really does die. Furthermore the characters themselves became compassionate even though I didn’t write any of them that way. My literary lesson was that as in life, sometimes good characters do bad things and bad characters do good things. And so the process of writing a novel had started of its own volition. I wrote and read; selecting a detail that presented as interesting and then textually weaving it together with another detail, in an unrelated segment eventually yielding the bones of a plot, upon which I explored and expanded. This knitting together of plot points and characterisation happened over and over again until a basic narrative structure grew organically out of nowhere. Once I’d an idea of a story I immersed myself in the protagonist and invented an entire back story for him in the same way actors who apply the Stanislavski approach do. I reverse engineered his character – writing in personality traits that would explain his decisions and the actions taken by him. Once I’d a fully developed character with clear motivations I allowed this to inform my overhaul of the entire body of work, meaning some major plot point alterations as they no longer fitted with the character. The novel naturally mutated. This approach was an uneconomical use of time for sure but it meant that the character and the narrative became inextricably linked in a manner that I don’t believe I could have accomplished tackling writing in the conventional sense. Dead Reckoning is a tale revolving around addiction and staff corruption inside a fictional London prison. The plot is a vehicle for the exploration of the human condition and the struggle to find ones individual moral compass. The prison was useful for this being a universe in microcosm. A prison-comedy sounds like a malapropism but the humour within the hidden society of captives is what lubricates the necessary reciprocal social exchange relationships between staff and inmates, which allow each prison to operate in spite of massively disproportionate ratios in favour of the prisoners. In the job this is called ‘jail-craft’ or ‘banter’ and if you don’t have it you’re not going to survive. In light of this I felt the subject had to be tackled as a black comedy and I am incredibly proud that the lads and lass’s who work in prisons across the country and the prisoners who have read the book agree that the tone is spot on. There are other ways to stimulate creativity that I found useful – I simultaneously undertook a Master’s Degree in Criminology whilst writing Dead Reckoning in order to get a better understanding of the academic view on the occupational culture of prison officers. I found gratifyingly that the conclusion of my thesis into ‘The motivations for discretionary rule enforcement amongst prison officers’, began to affect how I refined subsequent drafts of the novel. I was able to factor in endless empirical research to my characterisation – such as Muir’s 1977 typology of workplace behaviour – in the development of the protagonist Mr B and use Adams 1963 equity theory to explain Gav’s motivation for corruption. I believe the qualitative academic research I undertook and my first-hand experience of the prison system root this work of fiction in reality. It took a few years for Dead Reckoning to take shape and essentially write itself. This author saw marriage, fatherhood, bereavement, life threatening injury and separation, but the novel was always a constant place of refuge for me. 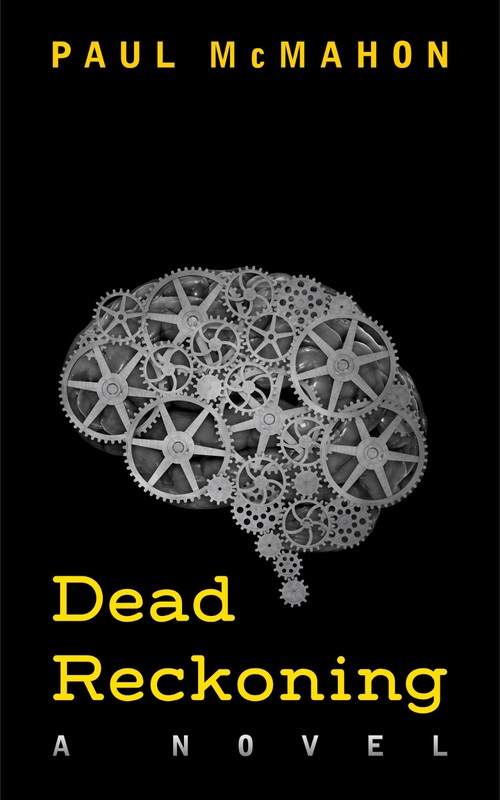 I’d be extremely grateful for any feedback from those of you that have read my Dead Reckoning already, as I love the fact that readers are actually helping me to better understand my own novel. Weirdly wonderful but true. 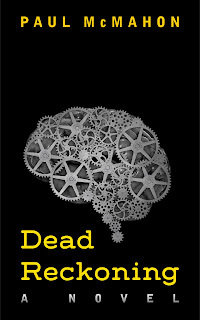 To find out more about Dead Reckoning, and to purchase a signed/dedicated copy, visit Paul's website. Standard copies can be purchased for Kindle and on paperback at Amazon.co.uk. You can also follow Paul on Twitter.